Living in the struggle of active addiction is not easy. Finding the right addiction rehab can be just as hard. We know this because many of us have been there ourselves, suffering and in need of effective, high-quality care at an affordable cost. Addiction Rehab Toronto is an expert addiction treatment and rehab facility. We offer programs of 30, 60 or 90 days, for those suffering from drug addiction and alcoholism. Our individualized substance abuse treatment programs are designed to promote and facilitate long-term recovery. Our impressive success rate with past clients is a testament to our treatment methods and our staff. We are a private residential addiction treatment facility located in a quiet neighbourhood of Toronto. We are a pay for fee service, and are not government funded (e.x. OHIP). In the event where self payment is an issue, please inquire about our financing options or other ways in which we can help manage the cost. We believe the recovery from addiction process truly starts with an individual’s honesty and a willingness to change. Our safe, loving and welcoming environment promotes the desire for recovery and positive transformation. Our environment, coupled with the desire for drug and alcohol addiction rehab and treatment, will lay the groundwork for clients to develop, own and maintain their substance abuse recovery. The Addiction Rehab Toronto addiction treatment and rehab facility is located in Toronto, Ontario. We welcome clients from all over North America. 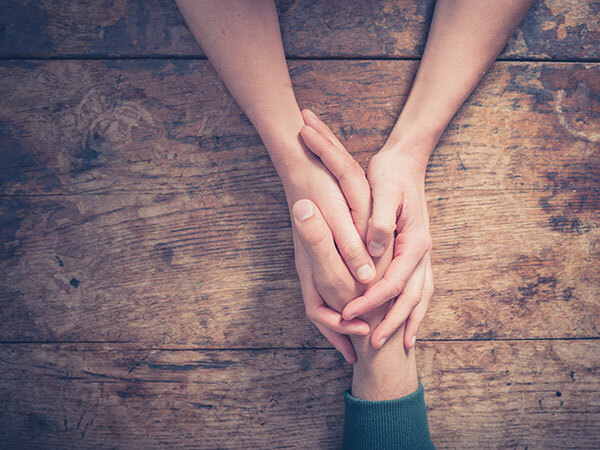 We provide a warm, caring atmosphere, and a safe place for you or your loved one to receive treatment for drug addiction or alcohol addiction. Our programs are designed to help individuals explore issues that might be behind the substance abuse. Residents are encouraged to use our beautiful grounds, surrounded by nature, for relaxation and outdoor activities. Our indoor facilities include comfortable common lounge areas, fitness equipment and workout areas, a yoga studio, a music studio, and inviting living accommodations for each resident. We also have some recreational amenities such as a fuzz ball table, basketball court, hockey court, and a ping-pong table. We take care of our clients’ nutritional needs by serving delicious, healthy meals three times per day, all prepared by our on-site chef. Addiction Rehab Toronto values a client-centred approach to recovery. Our addiction treatment is private, confidential, non-judgmental, non-shaming and non-blaming. Addiction Rehab Toronto values the use of addiction treatment methods that will foster our client’s determination for a transformation to a better life, and an end to self-destructive behaviours. Addiction Rehab Toronto values a holistic approach to addiction treatment. We will treat the whole person, and not just the addiction. Addiction Rehab Toronto values an individualized approach to drug addiction and alcohol abuse treatment and recovery that considers factors and issues underlying the addiction. Paying attention to the biological, social, psychological, spiritual and cultural parts of a person is critical to effective treatment. All treatment programs are customized to the needs and circumstances of the individual, both for the inpatient phase and for long-term support. Addiction Rehab Toronto values personalized care for drug addiction and alcohol abuse treatment. We have a 3:1 staff to client ratio and 24/7 onsite support. Addiction Rehab Toronto values the use of addiction rehab treatment methods that are proven to work. Addiction Rehab Toronto values integrity for our clients and their families. We take personal responsibility for ensuring the highest level of care in addiction treatment, professional conduct, safety and confidentiality. Addiction Rehab Toronto values the inclusion of our clients’ loved ones. This includes spouses, children, partners, family members and close friends. We offer a free family program, which includes counselling and addiction education. Addiction Rehab Toronto values the use of top class addiction professionals to facilitate recovery. Our core staff is a unique mix of therapists, addiction counsellors and positive peer mentors. With over 100 years of combined addiction recovery experience, our team is equipped to effectively manage and support you or your loved one through the addiction recovery process. Addiction Rehab Toronto values a synergetic team effort for addiction treatment and recovery, which is effective and results-oriented. Addiction Rehab Toronto values a coherent continuum of care including interventions, in-house detox support, inpatient addiction rehab and aftercare. Addiction Rehab Toronto values the provision of the proper tools for our graduates to sustain life-long recovery. They will experiment with new life choices in a healthy space that encourages voice, responsibility, accountability and inter-connectedness. Addiction Rehab Toronto values ongoing support and continued success in recovery, even after the inpatient addiction rehab treatment is complete. This is why our treatment programs include a 1-year extended aftercare program. Our goal is for each client to develop the tools to lead productive, positive lives free from substance abuse, gain self-awareness, acquire a sense of self-worth, realize their full potential, reunite with families who have been affected, and ultimately achieve long-term recovery. If you are concerned about drug addiction or alcohol addiction, either in yourself or a loved one, don’t wait until you have hit rock bottom. You owe it to yourself or your loved one to get help today, before it is too late. Addiction is not something that will magically disappear. It will progressively get worse, and without proper treatment it can be fatal. See what some of our past clients and their loved ones are saying about our addiction rehab, recovery program, treatment services, amenities and facilities. Click here to read some of our testimonials. To learn more about our addiction rehab programs, please contact Addiction Rehab Toronto today by calling 1-855-787-2424, or emailing info@addictionrehabtoronto.ca. Our team of addiction specialists will schedule a free assessment, answer any questions you may have and provide you with the resources required to start recovery. You can also book a tour of the facility, inquire about intervention support, payment options and admission requirements. In most cases, we can admit new clients within 24 hours.